The outcome of your treatment is critically important to me. I do my utmost to understand and communicate with my patients – to help them understand their conditions and their treatment options, along with the benefits and risks of those options. An important part of my job is to keep abreast of the latest technologies and treatment, and to incorporate into my practice those which offer safe and reliable prospects of improvement for my patients. 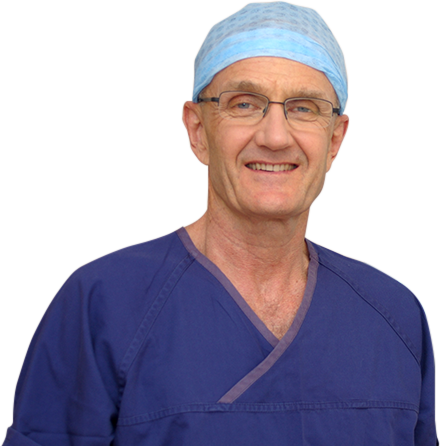 I have been in practice as a specialist orthopaedic surgeon since 1991. I grew up in Rockhampton then gained my medical qualifications at the University of Queensland. My speciality training in orthopaedic surgery was in Brisbane at the Princess Alexandra Hospital, the Brisbane Mater Hospital and Greenslopes Hospital. DO YOU NEED SURGERY ?